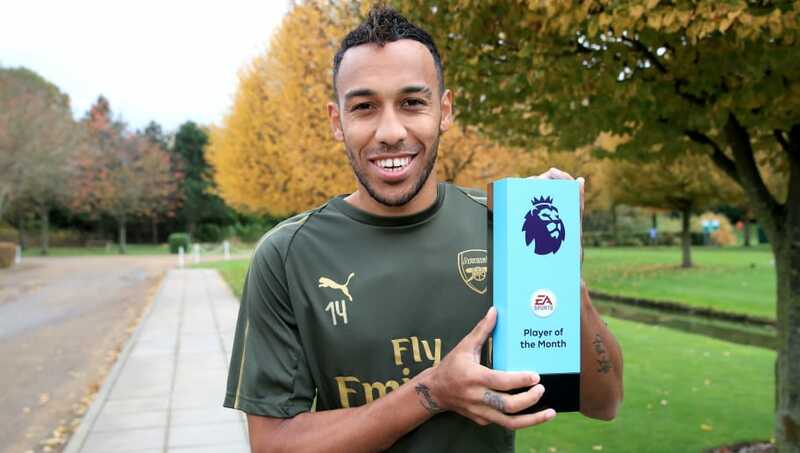 ​Arsenal forward Pierre-Emerick Aubameyang has been named Premier League Player of the Month for October after scoring five goals in three appearances during the month in question. The Gunners star was only named on the bench as his team kicked off the month against Fulham but still found time to score twice in the 28 minutes he was on the pitch in the 5-1 win. He also laid on a goal for Aaron Ramsey, which has been named October's Goal of the Month. "I'm just trying to improve every day, trying to work a lot but I'm happy to be here in the Premier League and I try to do my best. I can do better," he told PremierLeague.com.